Home 2017 Races The Koch Brothers are Trying to Buy Virginia. The Koch Brothers are Trying to Buy Virginia. Even before this email – from Trent Armitage – hit our inboxes, those of us in Prince William County have already seen scattered evidence of the Americans for Prosperity‘s presence here. 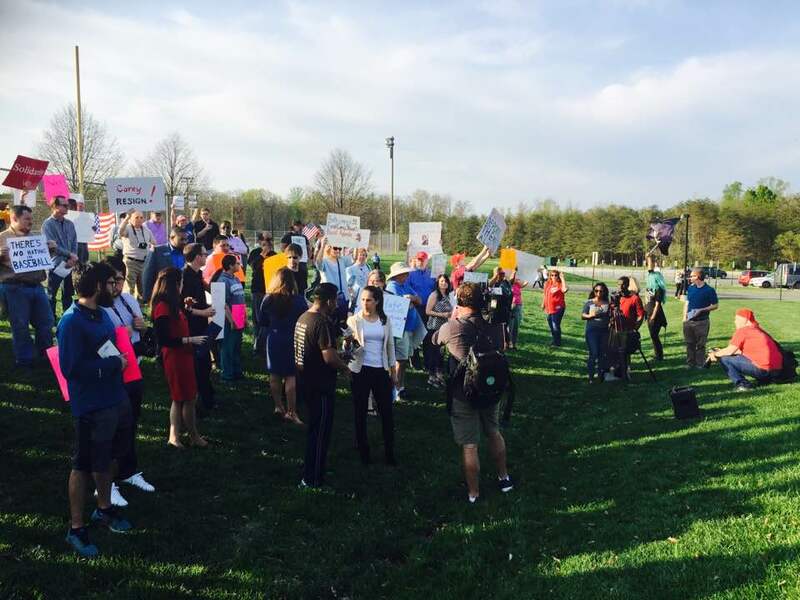 During a protest at the Potomac Nationals Stadium a few weeks ago, a representative or organizer for the group was reportedly seen observing the crowd and asking questions. A cursory glance at the Americans for Progress website reveals that they are against the construction of a new stadium for the team, which is being planned to be built in another part of the county. 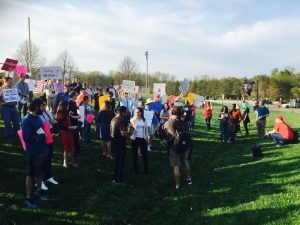 The protest itself was actually in regards to the team’s political contributions to Republican County Board Chair Corey Stewart, who is currently running for governor. Either way, it should be both concerning and emboldening for us that Americans for Prosperity has taken such an interest in our county. We as Virginians get the first large-scale electoral response to the Trump administration and the Republican Party’s disastrous agenda from the past 100+ days, and all eyes are upon us. Prince William County is of particular interest as we hold several of the “Clinton 17” – the seventeen House of Delegates districts carried by Clinton last year but currently held by Republican incumbents. On top of that fact, we recently scored our first electoral victory of the year as Democrat Jacqueline Smith crushed Republican Majority Whip Jackson Miller in the April 18th Clerk of the Court Special Election, despite being outspent 7-to-1. The Koch Brothers are trying to buy Virginia, folks. Let’s make sure that they – like Jackson Miller – get nothing for their money except a staggering loss on Election Day. Previous articleWill GOP Gubernatorial Candidates Show Up With Donald Trump At Liberty University Tomorrow?